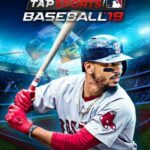 The 2019 Major League Baseball Season is here — actually, it’s been here for more than a couple of weeks now, and we have got yet another MLB-themed game for you, following Glu Games’ MLB Tap Sports Baseball 2019. Com2uS, which is known for games such as Chain Strike, Skylanders: Ring of Heroes and Summoners War, recently released MLB 9 Innings 19 for iOS and Android devices. As the game is officially licensed by the MLB, MLBPA, and MLBAA, you get real-life teams, real-life players, and even the chance to collect some legendary players. You also get full 3D graphics, various gameplay modes, as well as the option to automatically play through games, and the “Live Player System,” which allows player stats from the 2019 season to be applied to your Player Cards. You can even enjoy the state-of-the-art audio commentary feature, which, as the game claims, includes 5,000 comments that address a wide range of situations! Much like MLB Tap Sports Baseball 2019, this is definitely not an arcade game for the casual player. Would you expect anything less from a game that claims to be so realistic in terms of graphics, rosters, and features? But with the steep learning curve in mind, we have come up with several tips and tricks covering various facets of the game, and included them in our MLB 9 Innings 19 beginner’s guide. Read on if you need some help getting started with this game! 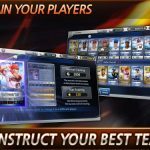 Although MLB 9 Innings 19 has a vastly different interface from MLB Tap Sports Baseball 2019, the actual gameplay, as you’ll see in the tutorial, has its share of similarities. While you’re controlling cover athlete Mike Trout of the Los Angeles Angels, you’ll see that it’ll all be about timing your swing and only swinging at strikes — due to the difference in orientation, figuring out the strike zone may be a challenge at first, but it’s nothing you won’t be able to get used to. But the big difference in this game is that you’ll also have the option to play defense — you can handle the batting on offense, take over the pitching on defense, or both. (All fielding in the game is AI-controlled.) We’re going to discuss the pitching mechanics in a bit, but for now, we’ll be sticking to the fundamentals and getting started with the very first things you need to know. Before you play your first game, you’ll also have an opportunity to choose one batter and one pitcher to serve as your Main Players. As the game indicates, these players will be upgraded to Diamond rarity and will remain at that grade for 72 hours — that means you have three days to play as many games as possible while your Main Players are still at the highest possible tier. That designated period would also come with its share of drawbacks — you’ll have to pay more for training, and you wouldn’t be able to use that player for Combination or Upgrade nor release him. Likewise, you can’t use your Main Players in Arcade Mode. Typically, you’ll want to choose the best available player among the three choices in terms of rating when going with a Main Player, though at the end of the day, it could matter more on your personal preferences. Either way, Main Players get downgraded to Silver after the 72-hour designated period expires, and any stat boosts they may have had for being Diamond players will be reassigned randomly. MLB 9 Innings 19 comes with several game modes that are accessible immediately — League Mode allows you to play an MLB season against the rest of the league (all AI-controlled), meaning all 30 teams with accurate lineups as of the start of the real-life 2019 season. You have the option to play a full 162-game season, though it’s also possible to play as few as 40 — the higher you rank at the end of the season, the more rewards you could earn once everything is over. You can also take on human players in ranked battles, or in “Friend Battles” against people you know on social media who also play the game. Lastly, Special Mode allows you to play one of four modes of this kind — Arcade, Pick ‘Em, Clutch Hits, and Exhibition. As far as playing games goes, chances are you’ll be playing Season Mode a lot at first, and winning games in this mode could earn you points (the game’s common currency) as the most common reward, as well as Player Packs, which could be a good way to improve your team’s roster in the event you’re able to pull a high-quality and/or rarity player. Now that you’ve gotten primed on the fundamentals, let’s talk about the batting mechanics in 9 Innings. How can you hit for a good average and better yet, hit for power in this game? Although all batters are rated for CON (Contact — their ability to make contact with the ball) and EYE (Eye — how well they can determine whether to swing or not), everything boils down to how well you’re able to time your swing. When using the Swing controller, you can modify it with the arrow buttons, depending on whether you want to send the ball to left field, center field, or right field, but at the risk of sounding redundant, timing is the most important thing here. It’ll take practice and getting used to, but what you want to avoid is swinging when the ball does NOT travel within the square that appears once the pitch comes the batter’s way. POW (Power — how hard your batter could hit the ball) is the statistic that determines a batter’s home run-hitting ability, so if you’re hoping to literally knock it out of the park, your best bet is to time your hits especially well when you’re controlling a batter with POW of 70 or greater. Spraying the ball at a low angle could get you a base hit, but if the swing isn’t strong or angled highly enough, you won’t get that homer. Anyone who knows their baseball should be aware that good pitching is a very important ingredient in any winning team’s lineup. May it be the starters who typically play the first five to six innings (sometimes more), the relievers who either save the day after a starter falters (or build on a starter’s good work), or the closer who makes sure that the game is in the bag by “saving” it in the last inning, good pitching is key to success, and in 9 Innings, you will have the option of handling the pitching or leaving it to the AI. When choosing the location of your pitch, you want to tap anywhere on the square if you’re planning to throw a strike with your Two-Seam or Four-Seam Fastball. Typically, we’ve gotten good results by tapping outside the strike zone — slightly above it, to be specific — when throwing breaking pitches like Curveballs, though there’s always the outside chance it’ll end up as a ball (or worse, give the opponent a free pass when you hit the batter) if your pitcher’s LOC stats aren’t too good. Now we would definitely advise you to get as much practice as possible with the pitching mechanic of 9 Innings, but what should you do if you’ve somehow called the wrong pitches and your opponents are racking up hit after hit after hit? There’s fortunately a workaround you could turn to in such a situation, and that’s the Catcher’s Lead option, which you’ll see on the bottom right of your screen. That’s going to allow your pitcher to automatically choose his next pitch and its location based on what the catcher (who is controlled by the AI in such a situation) suggests. Against most opponents, especially those controlled by AI, this is a good way to get yourself out of a hole, though you may want to avoid relying on the computer too much once you’re taking part in those ranked battles and have gotten your feet reasonably wet while playing the game. Of course, Catcher’s Lead isn’t the only auto-play feature in the game. Aside from the pre-game options you choose — Offense Only, Defense Only, or both — you have the option to go into Fast Progression mode and simulate the game up to a specific half of an inning. Once you’re on Fast Progression, you can see the game play out on the bottom left of the screen and on the live scoreboard on top, and if you want to take over, you can hit the button on the lower right of your screen to play manually and resume control of the offense, pitching, or both. So when should you be playing in Fast Progression? We would recommend that you only choose this option if you’re playing a considerably weaker team, or if you’ve got a comfortable lead of, say, at least 2-3 runs. Also, take care when using Fast Progression in close games; we’ve noticed that it’s easy to lose close games if the AI’s in control of things! Much like in other games that allow you to turn control over to the computer, the game’s artificial intelligence can be a bit simplistic when it comes to choosing when/when not to swing, or choosing which pitches to throw! The Team Management screen in MLB 9 Innings 19 serves as a one-stop shop for any changes or improvements you wish to make to your team. We won’t go through all of them just yet, being that this is just a beginner’s guide, but we are definitely going to talk you through the Lineup sub-menu, and how to properly go about using it. When setting your batting order, you traditionally want your leadoff (first) hitter to be a fast guy (high SPD, or speed, of course) with good CON. The third and fourth spots, on the other hand, are where you want to place your high POW guys, your home run hitters who could also drive in a ton of runs. Your seventh to ninth spots, meanwhile, are where you can place your weakest overall hitters. You can always choose to set this up manually, but if you want to do things quickly, you can tap on the Auto Switch button for both the No DH (designated hitter) and DH batting orders. For those who aren’t familiar, all American League teams have a regular DH in their lineup per league rules, and while the National League doesn’t have a DH rule, NL teams can field a DH in place of the pitcher during games against AL teams. As for your pitching, you can also use the Auto-Switch button to automatically choose your best five starting pitchers in order, as well as your relievers, though this can only be done at a certain time, due to the fact that starting pitchers need several games’ worth of rest (usually four to five) in between starts — look for the “Replaceable after (x) games” notification for an idea of when you can change your starting rotation. The game will also automatically pick your long relievers (those who come in when a starting pitcher is yanked early), middle relievers (those who replace your starter after about 5-7 innings), and closer, though you can always make manual adjustments yourself. The Lineup feature also allows you to make lineup changes for Battle mode, as well as Club mode, though you don’t need to worry about these just yet while you (presumably) focus on Season mode as a beginner and compete against AI opponents. As you win more games, may it be in Season mode or in others, you will earn Points, which you can then spend on a number of things, including training your players. As you’ll see in the Train sub-menu under Team Management, you can choose from Normal Training, Train 10 Times, Star Training, and Level Reset Ticket — we recommend choosing Normal Training in most cases As for the players you should be training, we would definitely suggest focusing on your higher-rated players — those lower-rated players can remain as is in terms of training, especially since you’re likely going to be replacing them as you win more player packs and unlock higher-quality players. The Star Training option allows you to use your premium currency to “guarantee the success rate of training.” We would only suggest this if you’re overflowing with stars, but since you probably won’t have too many stars just yet, you don’t need to worry about this option — Normal Training should do you just fine. Looking for more points and stars? Check the Challenges menu, as you’ll be able to check the list of available daily missions, with the easier ones coming with points as a reward, and the harder ones allowing you to earn some stars. 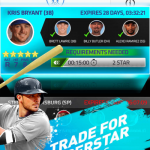 That’s what you’ll see on the left side of your screen, and on the right side, you can check the status of your Repetitive Missions, which are in-game tasks which you can complete for points — for example, you could earn as little as 70 points for a successful stolen base, or as much as 2,500 if you hit for the cycle, meaning one of your batters hits a single, double, triple, and home run in the same game. The Collections option shows you the status of your player collections, meaning different versions of the same player, or especially rare legends from MLB seasons gone by, who could earn you some extra currency if you’re able to pull one of them from a Player Pack. That’s all for now as far as our MLB 9 Innings 19 tips and tricks are concerned. Stay tuned, as we may publish another guide for the game in the nearest future with some advanced tips! Meanwhile, if you have anything to add, feel free to drop us a line in the comment area below!